Cabinet Secretary for Finance John Swinney MSP delivered the immortal memory at the Cruden Bay, Hatton & Longhaven Branch SNP Burns Supper held at Longhaven Hall on Saturday. Also in attendance and speaking were local MP Eilidh Whiteford, Banffshire & Buchan Coast MSP Stewart Stevenson who compered the event, Myrna McHugh who addressed the haggis, and Kevin Lamb, who entertained the capacity audience with his renditions of Tam O’Shanter and Holy Willie’s Prayer. Ellon councillor Richard Thomson entertained the company with some fiddle tunes to round off the evening. “It was a pleasure to be able to welcome John Swinney to Longhaven Hall. As ever, John gave good value and delivered an entertaining and thought-provoking immortal memory which was enjoyed by the audience. “This was a very enjoyable event and I’m grateful to the local SNP branch for inviting me to give the Toast to Scotland in this historic year. Banffshire & Buchan Coast MSP Stewart Stevenson has welcomed the news that “dotSCOT” will be available for website and e-mail addresses for the first time from this summer. It is understood that the new domain could be on general sale in time for this summer’s Commonwealth Games. Dot Scot Registry (DSR), a Glasgow-based not-for-profit company, has agreed terms with the international regulatory authority, the Internet Corporation for Assigned Names and Numbers (ICANN), to operate the new dotSCOT internet domain. It had previously been anticipated that ICANN’s processes would mean that the new domain would not be available until early 2015. DotSCOT will offer a unique branding tool for businesses and a clear cultural identifier for people and organisations in Scotland and also for the international diaspora that extends to many tens of millions more. “While it’s great news in itself that we will finally have a Scottish alternative for web and e-mail addresses, this actually has the potential to significantly boost awareness of Scottish business, arts and culture online. “2014 is an exciting year for Scotland, and I’m delighted that this distinct online identity for the nation, and all who take an interest in Scotland, will become available this summer. “Scotland and Scottishness conveys a whole range of positive connotations, which could not really be portrayed on the web before, but with a dotSCOT domain there will be a new option anyone involved in Scottish business, arts and culture and others to identify themselves more clearly as Scottish to the online world. “We aim to make dotSCOT domains as affordable as possible and our not-for-profit structure means we will be able to do so. Stewart Stevenson, SNP MSP for Banffshire & Buchan Coast, has backed a call more attention to be paid to skin cancer prevention as figures for the deadly disease continue to rise. 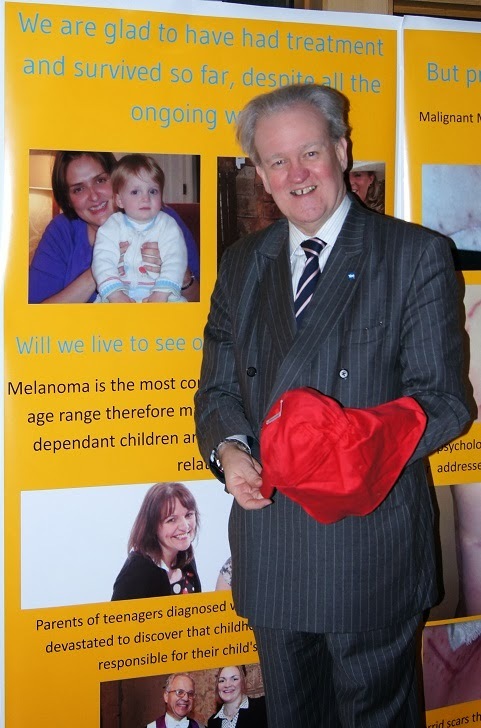 Mr Stevenson visited the Melanoma Action and Support Scotland exhibition in the Scottish Parliament highlighting the serious problem of skin cancer in Scotland. “MASScot, the skin cancer charity, is seeking support for a campaign on sun protection education for the general public, focusing on the care necessary, particularly by those under 35 years of age. “Skin cancers are by far the most common cancers in Scotland and the incidence of melanoma, the most deadly form of skin cancer, is increasing at over 50 per cent every decade, making it the fastest growing cancer. MASScot support those with skin cancer and their carers, and hold open air events and visit schools to educate on the importance of sun awareness from an early age. They also highlight the risk of over exposure to sunshine for outdoor workers. Stewart Stevenson, SNP MSP for Banffshire & Buchan Coast, has welcomed a new national plan proposing 14 developments across Scotland promising economic growth, including a Carbon Capture and Storage (CCS) Network. The Peterhead CCS project, proposed as part of the National Planning Framework (NPF3), would create the world's first commercial-scale full chain CO2 capture, transportation and storage development. It would collect up to 10 million tonnes of CO2 emitted from Peterhead Power station over 10 years, and store it in the depleted Goldeneye gas reservoir, 100 km offshore. "What makes Peterhead unique is that there is as yet no gas-based carbon capture and storage project in operation. For Peterhead, that is a key opportunity. "In carbon capture, we have a good prospect of commercial success whereas, after decades, nuclear remains entirely unproven”. The proposed National Planning Framework (NPF3) was announced by Planning Minister Derek Mackay this week, and will be considered by the Scottish Parliament within the next 60 days. “The proposed framework will benefit every part of Scotland and sets out our vision for where sustainable economic growth should take place over the next 20 to 30 years. MSPs are to discuss whether there is a problem with lobbying and access to politicians, “either actual or perceived”, in its first evidence session in its lobbying inquiry today [Thursday]. Steps to improve transparency and whether the introduction of a statutory register of lobbyists would help will be discussed by Holyrood’s Standards, Procedures and Public Appointments (SPPA) Committee. Witnesses include representatives from campaign groups and the public affairs industry. Over the course of the coming weeks, the Committee will also take evidence from charities and trade unions, as well as representatives from business, academia and local authorities. “Our main focus will be whether there are real or perceived problems with lobbying in Scotland, and what steps should be taken to address any issues that are identified. “We look forward to considering the evidence we will hear from advocates of reform, academics and others, before we report to the Parliament with recommendations”. The SPPA inquiry follows the Scottish Government’s stated intention to introduce legislation in this area within this parliamentary term (2011-2016). 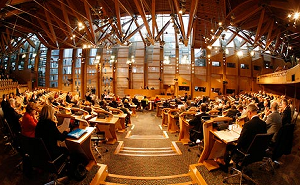 A package of reform measures introduced in 2012 by the Scottish Parliament have been welcomed in a parliamentary committee report published today. In its review of the new reforms introduced in September 2012, the Standards, Procedures and Public Appointments (SPPA) Committee said the measures represented the most significant changes to parliamentary business since 1999, and had enabled Members to question Ministers at the start of every meeting of the chamber and raise current issues earlier in the week. The report also acknowledged the “strong leadership” shown by the Presiding Officer in promoting her vision for parliamentary reform. “Having reviewed the package of measures as a whole, our Committee has concluded that the reforms have been successful in creating a more responsive and agile Parliament. Buckie is to receive a uniquely-carved paving stone commemorating the awarding of the Victoria Cross to local man George McIntosh during the First World War. The scheme is part of the commemoration of the 100th anniversary of the outbreak of the war and will see 44 towns across the country receive a paving stone honouring their local Victoria Cross holders. The paving stone and its design was selected as part of a competition organised last year to find an appropriate way to mark the occasion and to honour VC holders. “In common with many other nations, Scotland suffered terrible losses during the Great War. “In this, the year of the centenary of the outbreak of the war, it is right that we remember those who made the supreme sacrifice or showed heroism to help their comrades, not least because, very often, these people were given no choice but to enlist for war service. "The Victoria Cross is the highest award for valour that a member of the armed forces or a civilian under military command can be given and the recipients of a VC should rightly be honoured for their actions. "VC recipients like Buckie's George McIntosh invariably carried out an action under extreme duress that has saved lives and contributed to a critical success in the heat of battle. "It is right and proper that people like Flight Sergeant McIntosh get significant recognition and these memorial slabs will be an important mark of respect from the communities that the recipients hail from. With many VCs being awarded during the First World War, the centenary of that conflict seems like a fitting time for this recognition to be made." 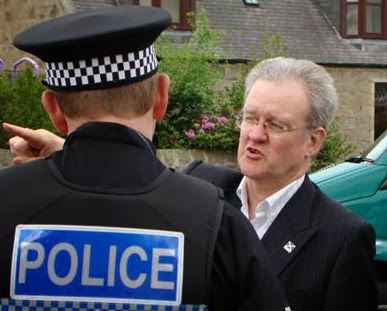 Banffshire & Buchan Coast MSP Stewart Stevenson has welcomed figures from Police Scotland which show that an anti-violence campaign over the festive period saw serious assaults across the region fall from 13 to 2 when compared to the same period last year, a fall of 84%. Figures show that there were 145 common assaults in Aberdeenshire over the festive period compared to 204 last year; in Moray there were 74 down from 108. There were a total of 2 serious assaults in Aberdeenshire down from 7 the previous year and 0 in Moray down from 6 the previous year. The operation saw extra high-visibility patrols across the region with a focus on targeting anti-social behaviour and violence. In Aberdeenshire, 42 additional officers were involved in the operation, which was carried out in collaboration with several partner agencies including Aberdeenshire Council, the Scottish Fire and Rescue Service, the Street Pastors, NHS Grampian and Cair Scotland. In Moray, Officers worked alongside partner agencies, including Moray Safety Community Partnership and Moray Alcohol and Drug Partnership. In addition the operation saw more than 700 licensed premises visits carried out, of which 278 were by Safer Streets staff. “These are impressive results when compared to the situation the previous year and I congratulate our local police officers on this progress. "The North-east is a great place to live with the various towns and communities offering vibrant day and night time economies which we encourage people to enjoy. "We are particularly fortunate that crime rates are low and we have excellent relationships with our local communities as well as our various partner agencies. "We welcome these extremely positive results and it is heartening to know that our communities have been that bit safer during the festive period. “Safer Streets has been a very successful campaign over the years and we will continue to build on what has already been achieved. The Winter Safer Streets programme in Aberdeenshire is funded by Aberdeenshire Community Safety Partnership whilst in Moray it is funded by Moray Alcohol and Drug Partnership. Stewart Stevenson, SNP MSP for Banffshire & Buchan Coast, has welcomed the announcement this week that free school meals will be provided for all P1-P3 children in Scotland from next January. On Tuesday, the SNP government unveiled a £114m investment into Scotland’s youth, which also includes free childcare provision for every two-year-old from unemployed households in Scotland – around 8,400 children – by August 2014. “In times of financial austerity, it is crucially important that the Scottish Government does all that it can to support families coping with the downturn. This measure will save families at least £330 per child. Based on the latest available figures, around 8,148 pupils in the Aberdeenshire Council area, and 2,787 in the Moray Council area will be eligible to benefit from free school meals. The Scottish Government’s £114m investment will also see free childcare provision extended further by August 2015, reaching 15,400 children – 27 per cent of all two-year-olds – by widening entitlement to families that receive certain welfare benefits such as Jobseeker’s Allowance. Local MSP Stewart Stevenson has welcomed new figures showing the number of dentists in Scotland has increased by almost 33 percent points since the SNP took office. Between September 2006 and September this year, Scotland has benefitted from 793 extra dentists. "These figures are really something to smile about. In particular it is vitally important that children learn good oral health early as they are much more likely to continue these habits later in life. "The New Year is the perfect time to register at a dentist and get your teeth checked. "These figures show that, after years of neglect under previous administrations, that real inroads have been made in ensuring the provision of first-rate dental services for the people of Scotland.